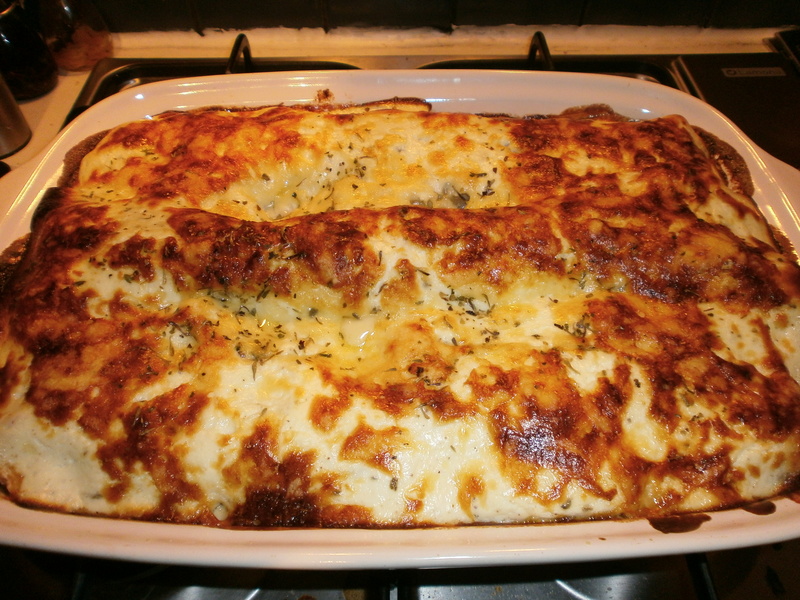 Another one of Mr MAC’s specialities is lasagne and it is one of our favourite mid-week meals. Not only is it fairly quick and easy, it also uses ingredients we always have in, is very tasty and low in fat. 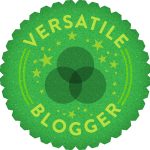 An added bonus is that it can easily be adapted for meat eaters or vegetarians alike. All in all, a really good dish for a week night meal. I think the recipe originally came from the Slimming World website but as always, we have made a few changes! Spray a large frying pan with fry light and heat. Add the beef, pepper, courgettes, mushrooms, onions and garlic and cook for 8 minutes. Add the tomatoes, passata, herbs and seasoning to the pan. Allow to cook for 15 mins, stirring every so often. In a separate bowl, mix together the yogurt, eggs, nutmeg and seasoning until smooth. 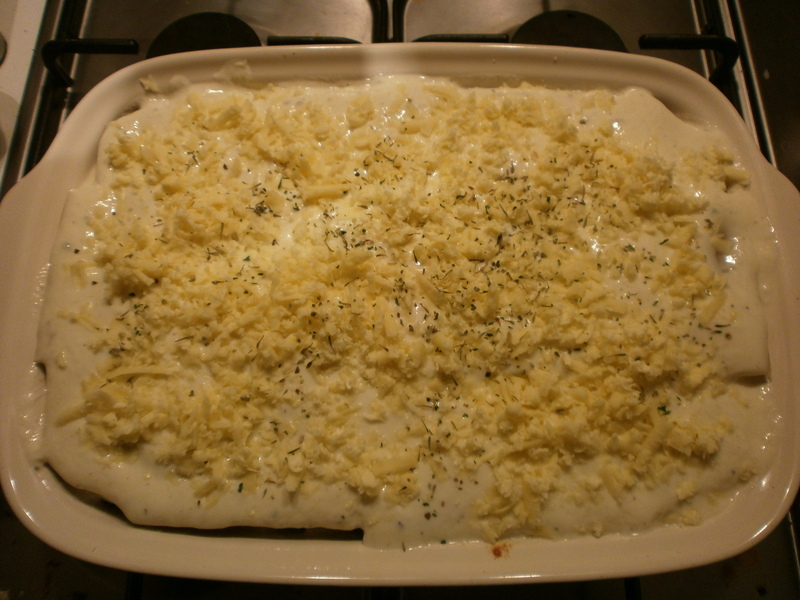 Spray a medium-sized lasagne dish with frylight. Spoon half of the mince mixture into the bottom of the dish. Top with half of the lasagne sheets breaking them to fit if needs be. Spread over half of the yogurt mixture and repeat. End with a layer of the yogurt mixture and top with the cheddar. We make this regularly with vegetarian mince which is just as good. If we aren’t cooking for vegetarian friends but are using veggie mince for health purposes, we crumble over a beef stock cube to make it extra tasty. Sometimes, we switch the cheddar for mozzarella if we have it in and other times we will add a dash of red wine to the mix. This recipe is really versatile – you can throw in a load of different veg and really play around with the flavours and textures but it can also be used as an ‘old faithful’ standby meal. 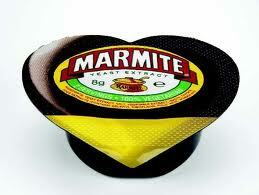 I LOVE Marmite. For me, it is the ultimate comfort food. When I was little, I went through a stage of only eating Marmite on toast and Marmite and cheese sandwiches much to the dispar of my ever so patient Mother. Luckily, I outgrew that phase but even now when I am feeling a bit poorly, all I want is Marmite on toast. I really do urge you to try it and if you can’t bare to have it just on toast, try this recipe! Anyway, back to my Sunday morning breakfast. Recipe below…. When the mushrooms and pretty much cooked. Add a teaspoon of Marmite, a generous amount of pepper, and salt. Stir the Marmite through and ensure all the mushrooms are coated, meanwhile, toast your bread. When the toast is cooked, take the mushrooms off the heat and stir through the creme fraiche (I also add some basil or thyme at this stage if I have some in!). 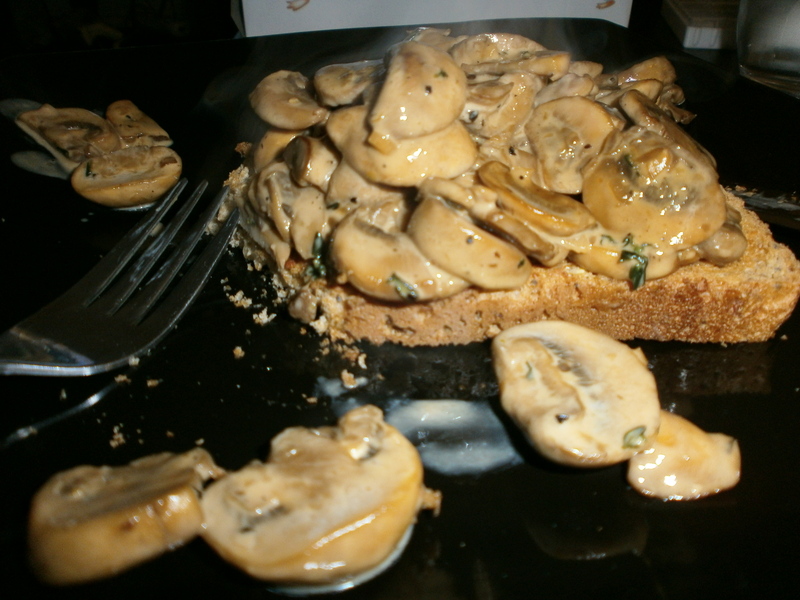 Top the toast with the mushroom mixture and enjoy! As you will probably see from one of my other recent posts (Leftovers Stroganoff), this is the perfect breakfast to have the week of making a stroganoff as you will have all the ingredients in! Again, this dish is fairly low-fat and healthy. You could make it even lighter by substituting the crème fraiche with fromage frais but you will have to be careful that it doesn’t split. A breakfast dish that is quick and filling and a way of turning Marmite haters into lovers! Earlier this week, we had some left over roast beef so decided to cook stoganoff. I love this recipe; it is a really warming and tasty dish for those cold winter nights and everyone who has tried it says how much they like it! 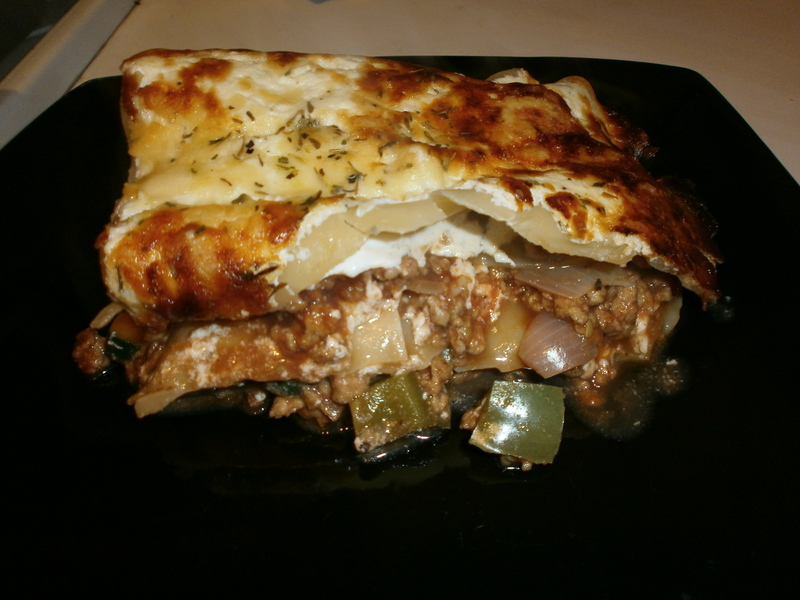 I think it originally came from a Weight Watchers cookbook but I have been cooking it so long I have made a few adaptions and made it my own. It is very quick and you can use ingredients you have lying around so it is the perfect mid-week supper. The recipe works really well with leftover roast chicken or roast beef but fresh chicken breasts and steak can also be used. I guarantee you it wont disappoint – don’t let the word ‘leftover’ put you off! Below is the recipe if making it with fresh chicken breasts. If using leftovers, I would add the cooked meat at a slightly later stage (so as to not over cook) and change the stock cube accordingly. Spray a large frying pan with ‘frylight’ and heat. Once hot, add the onion and garlic. Cook gently for 5-10 minutes until the onion is soft but not browned. Add the chicken and cook until sealed and lightly browned. Add mushrooms, paprika and Worcestershire sauce to the pan and cook for a few minutes until all the ingredients are coated. Crumble over the chicken stock cube and pour in the boiling water. Bring to the boil, reduce heat and simmer until the liquid has reduced by about half (20 mins or so). Add the creme fraiche and seasoning. Stir through and gently heat for a minute or so. Enjoy! Scatter over some fresh basil or parsley if you have it in. Best served with a big portion of mash to mop up the sauce. You can always use a few different varieties of mushroom in this recipe to ‘posh’ it up a bit; they really do give the dish an added dimension. Smoked paprika can also be used to change the recipe slightly though I wouldn’t use quite so much as it might blow your head off! This recipe is also fairly low in fat – a really tasty, healthy dish that is big on flavour and has a few portions of veg sneaked in for good measure! All in all a really pleasing easy dish that can be adapted to how you are feeling that day and what you have in the fridge! Do let me know any of your variations and I will give them a try! P.S – I’m afraid there is no photo….I am quickly becoming ashamed of my photographic attempts (I must get used to my new camera!) plus I was too busy tucking in! !